Dragon Ball is not shy about its love for Son Goku, but the Saiyan is not the only character in the franchise. There are quite a few women in the series begging for the spotlight, and it seems a new apparel line plans to bring the focus to them soon. 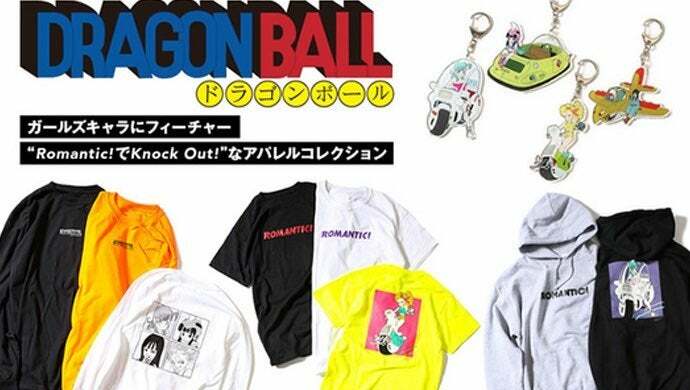 Recently, Natalie Store announced its plans to sell a clothing line dedicated to all things Dragon Ball. Based on the series’ women, the sleek collection will be named ‘Romantic! de Knock Out!’ and feature characters like Bulma. So far, a few key items from the collection have been previewed to fans. The line includes an array of shirts and hoodies as well as key chains. Characters like Bulma and Chi Chi are easy to find on the pieces, but other women such as Mai can be found too. Oh, and Launch shows up to. It seems the blonde-haired beauty could not be ignored by Dragon Ball forever. Not only will this line include clothing and knickknacks, but Natalie Store will sell bags as well. A series of drinking glasses will also be sold, giving fans the chance to drink from their favorite Dragon Ball heroine. So, it is up to fans to decide whether they’re willing to pay up for these goods. Currently, the collection is up for pre-order through Natalie Store until April 22. The items will begin shipping out to fans in late May.